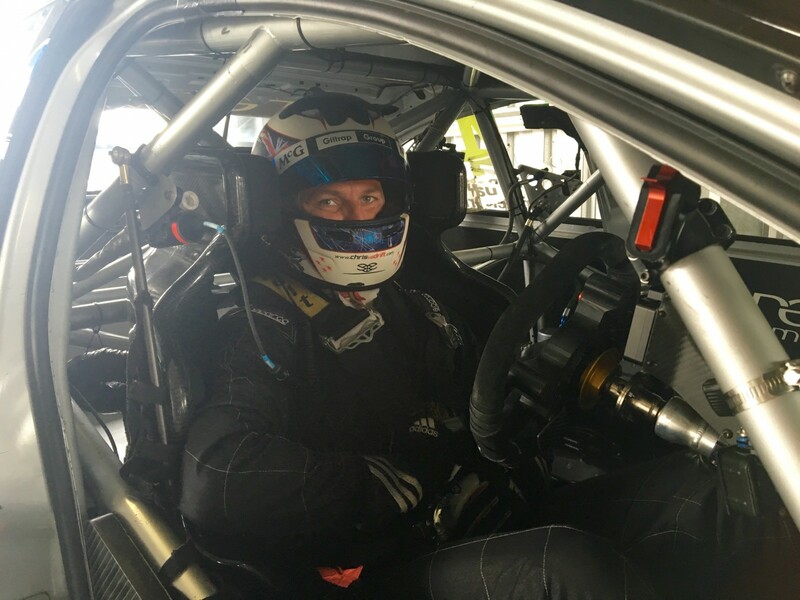 Kiwi racing ace Chris Van Der Drift has completed his first laps in the Erebus Commodore he will share with Shae Davies throughout the Pirtek Enduro Cup. 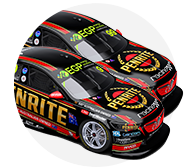 The 30-year old said it was a childhood dream to race in the Virgin Australia Supercars Championship and jetted in from the UK on Saturday to prepare for today’s test and the weekend’s Wilson Security Sandown 500. 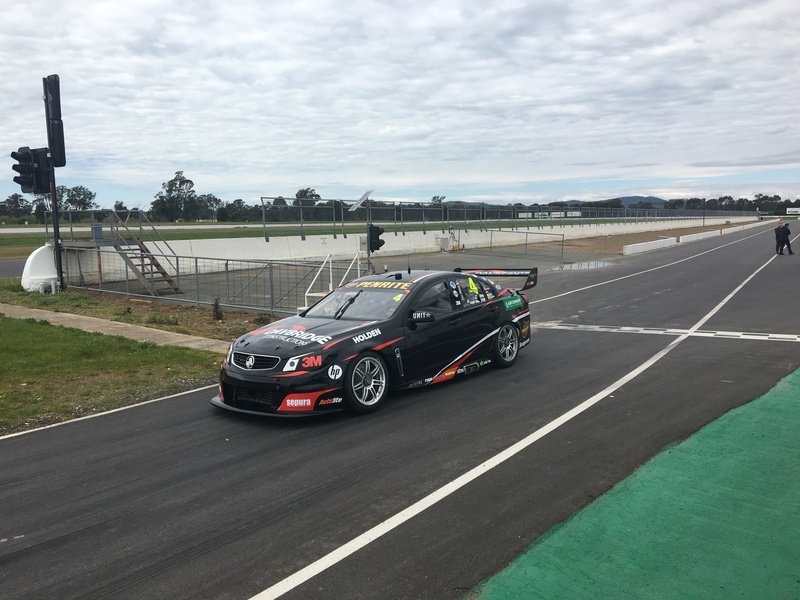 Testing a NewGen Brad Jones Racing Commodore two years ago whet Van Der Drift’s appetite, and now after a handful of laps at Winton Motor Raceway this morning he can’t wait for the enduros to kick off. “It’s good, I’ve just had a few laps this morning so just getting into the groove,” he told supercars.com. The Supercar is a different beast for Van Der Drift, who has been racing overseas since 2003 and has three European championships to his name, in Formula BMW, Formula Renault 2.0 and International Formula Masters. Last year saw him take out the Porsche Carrera Cup Asia title, and he currently races in the ADAC GT Masters in Germany and the China GT Championship. “It’s completely different to what I’m used to normally, so it’s really nice having so much power under your foot, I really like that. It’s just about me getting the feeling of the car, how it reacts and what you do driving-wise, stuff like that. The more laps I do the better I’ll feel and the more comfortable I’ll get,” he said. Driver changes is not a big focus today as Erebus is still working on Van Der Drift’s fit in the car. “We’re still figuring out the seats because I’m a bit taller than Shae,” he said. He’s looking forward to bolting some better tyres on at the end of the day once he has a better understanding of the Holden Commodore. 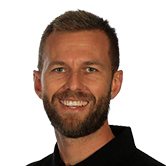 Erebus Motorsport general manager Barry Ryan was pleased with Van Der Drift’s progress so far. “Chris is settling in well, I think he’s probably frustrated coming from the car he has been driving with the electronics and aids, back to a car where you have to work a bit harder for it,” Ryan said. “He’s enjoying it though, and he’s really competitive straight away which we knew he would be. 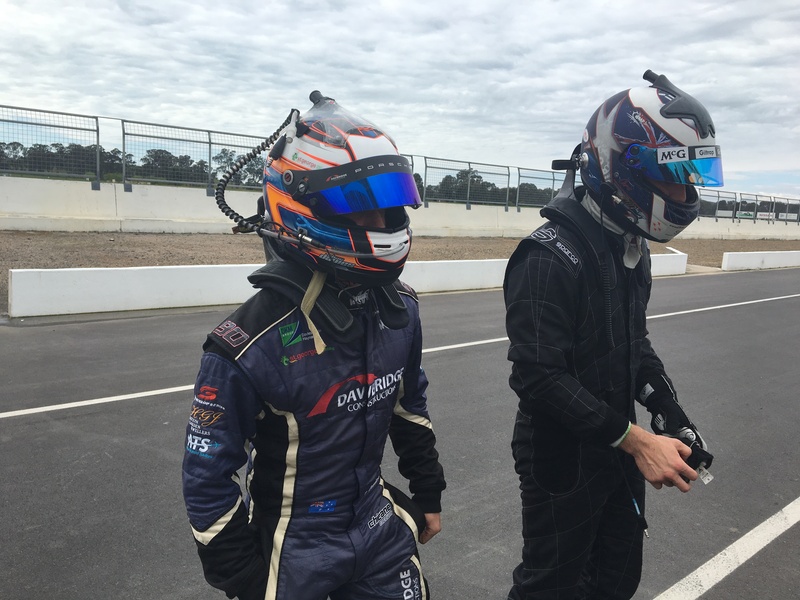 Lucas Dumbrell Motorsport is also on-track at Winton testing today with newly signed co-driver Aaren Russell and returning Supercars race winner Cameron McConville.